General Motors is fueling America’s future with biodiesel by expanding its B20-capable lineup to include new cars, crossovers and trucks. 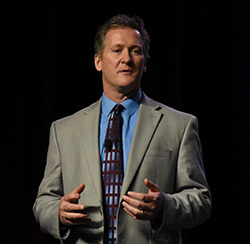 John Schwegman, Director of Commercial Product and Medium Duty Product for General Motors, delivered the welcome news to an enthusiastic crowd at the 2017 National Biodiesel Conference & Expo in San Diego. Learn more about the new GM diesel options.